LEAD JUDGMENT: JOHN INYANG OKORO, J.S.C. This appeal is against the judgment of the Court of Appeal, Calabar Division delivered on 17th January 2013 wherein the Court set aside the conviction and sentence to death of the appellant by the High Court of Akwa Ibom State. The facts upon which the charge was brought was that on the 6th April 1996 the Respondent went to the house of PW1 and reported that he had not seen his father for 5 days. Upon inquiry by PW1, the Respondent told him that his father was not sick and that he had not reported the fact of his being missing to his family members. 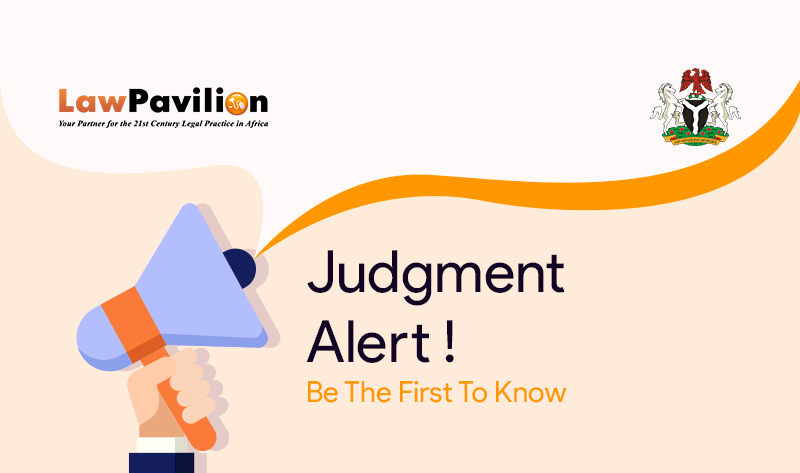 PW1 advised the Respondent to inform his family members and together they went to their family head who convened a family meeting where the matter was discussed. The family head gave the Respondent three days to search for his father and report back to them. On the 3rd day when the Respondent reported that he still could not find his father, the matter was referred by the family to the village head, Obong Akpan Essien Ekpe. When questioned by the village head as to the whereabouts of his father, the Respondent said that he suspected that his father was in a pit toilet owned by one Akon Ibanga, the deceased’s brother’s wife. The matter was reported to the police. The Respondent then led the police to the pit toilet where the corpse of his father was found. The police visited the house of the deceased and found his room filled with faeces. A blood-soaked shirt belonging to the deceased was recovered. On Wednesday 3rd April 1996, Edem Udofia Ibanga, the family head of Nnung Ibanga (PW2), went to visit the deceased in his house. He knocked on the doors to the deceased’s room and that of the Respondent. There was no response from the deceased’s room. The Respondent later showed up and was asked by PW2 of his father’s whereabouts. The Respondent shouted at PW2 and pushed him out of the compound. PW2 testified to the fact that the Respondent had in the past told him that he would kill his father alleging that his father was a wizard. He stated that the Respondent in the past subjected his father to beatings and stabbings and that although the matter was reported to the police, the deceased never pressed for the prosecution of the Respondent for fear of reprisals. When the matter was reported to the family, the respondent was asked to look for his father and report back to the family the following day. In his several meetings with members of his family, the respondent never suggested that the corpse of his father could be found in the pit toilet belonging to the deceased’s brother’s wife. Rather, the respondent’s statement to the family was that someone told him that the deceased was seen along Etuk Street, Uyo, while another person claimed to have sighted him along Calabar Itu Highway. It was several days later when the matter was reported to the village head that the respondent suggested that the pit toilet owned by Akon Ibanga be explored. When Sergeant Asuquo Essien PW3, visited the scene of the incident in the house of the deceased located at No. 81A Ikpa Road, Uyo, he recovered a handwritten note left by the deceased, which stated that if he died, it was the accused who killed him. He found that the room was filled with faeces. He discovered that the pit latrine was partly broken. The pit latrine was further broken on the 20th April 1996, to remove the corpse of the deceased. After the corpse was exhumed, a post mortem examination was conducted by the doctor and a report was subsequently issued. PW3 found out that there were cases reported at “A” Division of the Nigerian Police, Uyo by the deceased against respondent and that he saw the crime dairy in which the deceased reported a case of assault occasioning harm against the respondent. The facts highlighted at the end of the investigation by PW3 are contained on pages 39 and 40 of the record. At the end of his investigation, PW3 wrote a report dated the 15th April 1996 which was tendered, admitted and marked Exhibit “J”. Based on those findings, the respondent was arraigned and charged with the murder of the deceased. Edet Effiong Udo, PW4, was engaged by Akon Hanson lbanga a.k.a. Mmaette to repair her damaged pit latrine on the 6th April 1996. The day after completion of the repairs, the respondent approached him and asked whether he had seen his father, Sunday Udofia. PW4 replied that he has not seen the respondent’s father. He asked PW4 what he saw when he repaired the toilet. PW4 replied that he saw nothing except faeces. The respondent told PW4 that he suspected that his father was in the toilet. PW4 said to the respondent that if he knew of such an incident he would not have gone there. In his defence, the Respondent denied knowing anything about his father’s death. Both in his statement to the police and evidence in Court, the respondent emphatically said that his late father was a drunkard and also very sick to the extent that he could not leave the room but was passing faeces in the room. The Respondent was responsible for packing the faeces until the late father decided to be managing to get to the pit toilet. Respondent says it was the family which accused the deceased of being a wizard when his junior brother died. That he only suggested his father may have fallen into the pit toilet because of the stench oozing from the said toilet. In all his statements he denied knowledge of how his father died. Upon the conclusion of the trial, judgment was delivered on the 19th day of November 2007 and the learned trial Judge found the Respondent guilty of the offence of murder and accordingly, convicted and sentenced him to death by hanging. Being aggrieved with his conviction and sentence, the Respondent appealed to the Court of Appeal, Calabar by a notice of appeal dated the 26th of November, 2007. The Court of Appeal in its judgment delivered on 17th January 2013, allowed the appeal, acquitted and discharged the Respondent of the offence of murder. The Appellant, being dissatisfied appealed to the Supreme Court. Whether or not the lower Court was right when it held that the doctrine of last seen was wrongly applied by the trial Court in coming to the conclusion that the Respondent was the last person who saw the deceased alive and therefore responsible for his death. Whether or not the lower Court was right when it held that dispensing with medical evidence and report as to cause of death was fatal to the Appellant’s case. Whether or not the lower Court was right when it held that there is no circumstantial evidence that has led irresistibly to the guilt of the Respondent. Whether the Court below was right in stating that the trial Court was wrong in dispensing with medical evidence when there was no direct evidence linking the respondent with the death of the deceased. Whether in the circumstances of this case, there was sufficient circumstantial evidence irresistibly pointing to the guilt of the accused and none other as to warrant the Court below to affirm the findings of the trial Court on this issue. On the whole, the Court found no merit in the appeal and accordingly dismissed same. The Respondent was discharged and acquitted.